The development of GROB is unstoppable. The German company continues to expand itself in Italy too, in order to complete its European presence and focus increasingly on the production of electric motors. 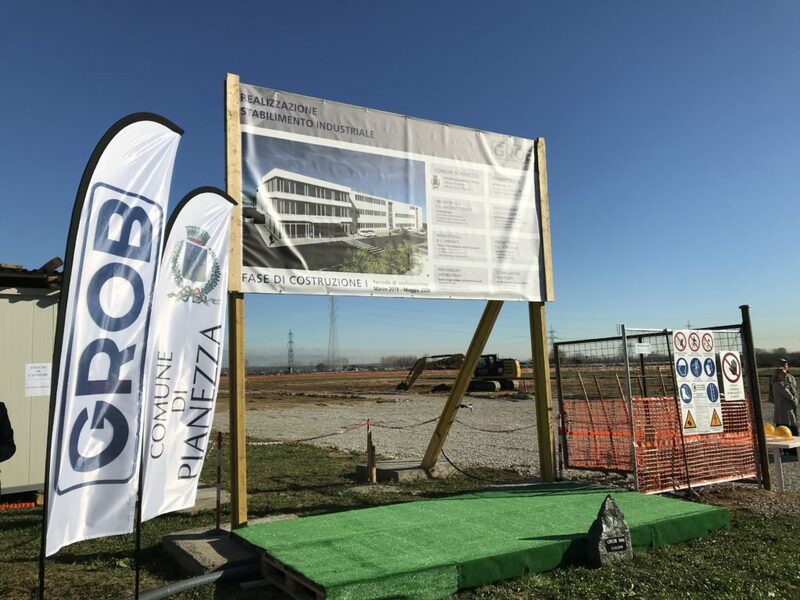 Top player in the design and construction of high-efficiency machining centres and production lines, the family-run company GROB – now in its third generation – is investing resources in the Italian territory, and last 12th march it has inaugurated the construction of a new plant in Pianezza, close to Turin. We were present at the ceremony for laying the foundation stone. 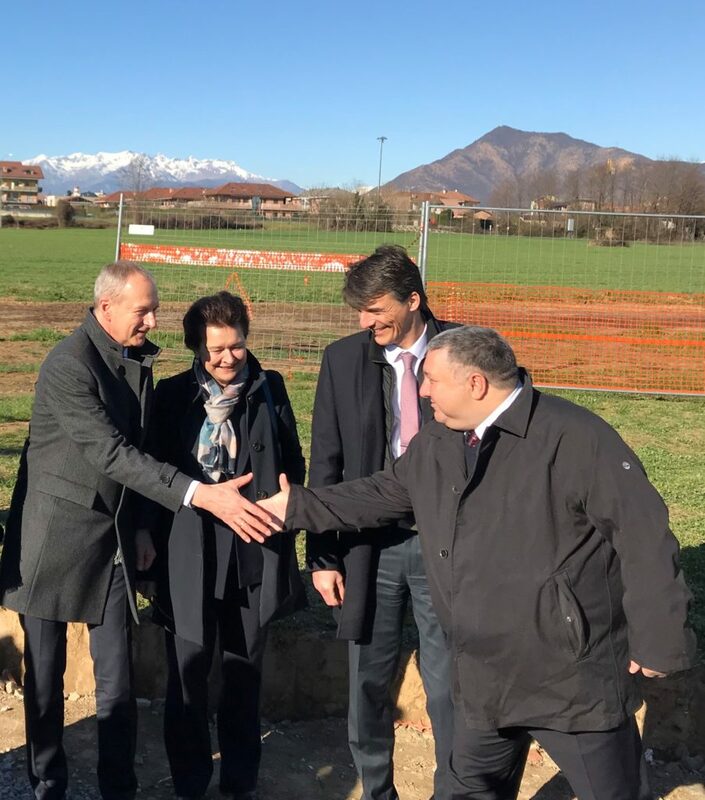 The inauguration of the construction took place in the presence of the German management board of GROB, Christian Grob and German Wankmiller, the CEOs of GROB Italy, Mauro Marzolla and Marco Debilio, the mayor of the municipality of Pianezza and the main exponents of the local industrial fabric. Let’s take a step back. In 2017, the machine tool manufacturer GROB acquired DMG meccanica, an Italian manufacturer of machines for the production of stators for alternators and electric motors. This strategy underlines the willingness of the German player to focus more on the e-mobility sector and to establish itself as a manufacturer of electric motor components. Today GROB has a total of 6,900 employees and a turnover of 1.5 billion euros, fifteen branches around the world, five production plants in Germany, the United States, China, Brazil and Italy, in Buttigliera Alta (current headquarters of the former DMG meccanica). Today, the plant located in Buttigliera Alta is no longer able to cope with the higher productivity required by the development of the business, increasingly projected to automatic lines for the production of electric motors. The new Pianezza site will be ready in about 14 months, starting at full capacity in the summer of next year. 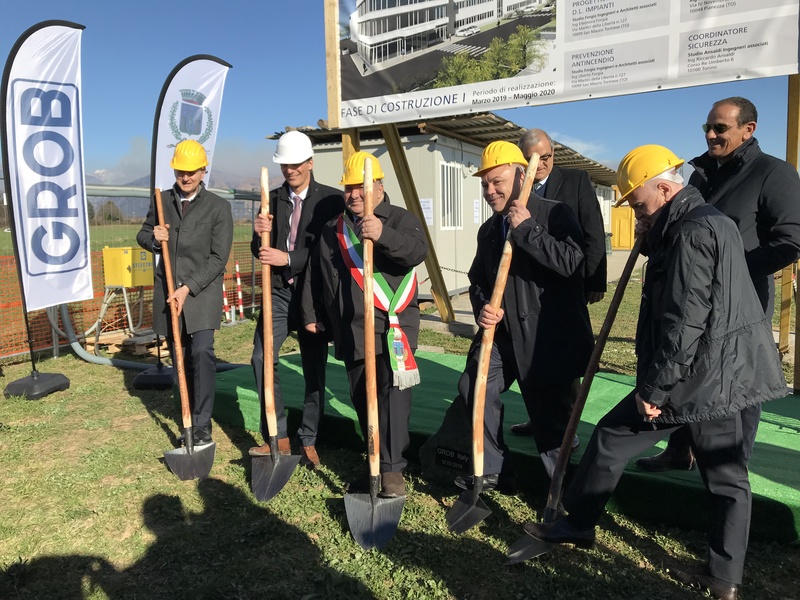 The new plant in Pianezza will be a highly functional centre, distributed on a total area of 24,000 m² of whit 4,800 m² of production area and 3,300 m² of offices and services. The goal is to understand the entire production circuit, from conception of the idea to its practical construction, and the economic investment allocated to date is about ten million euros. This is good news for local employment: the current GROB Italy workforce includes about 60 employees, but an increase of around 40-50 new jobs is expected in the first phase. Internal training courses will therefore be activated, which, in collaboration with a vast network of local excellence in education, will provide young people with a specific technical preparation.